The week of squee takins has come to an end, so give us a nose boop goodbye! This week's Squee Spree versus is a face-off between two different four-legged, horned squees! 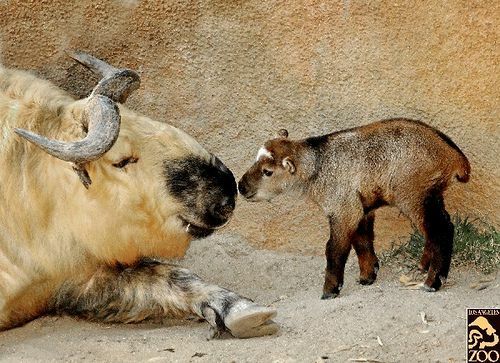 The takin is a a goat-antelope found in the Eastern Himalayas, while the muskox is an arctic bovine that mostly lives in arctic Canada and Greenland. Which one makes you squee? This takin calf is named Hobbit, and he's a cheeky, little squee! Check out this ridiculously squee takin calf, who was born the morning of February 2 at the San Diego Zoo.